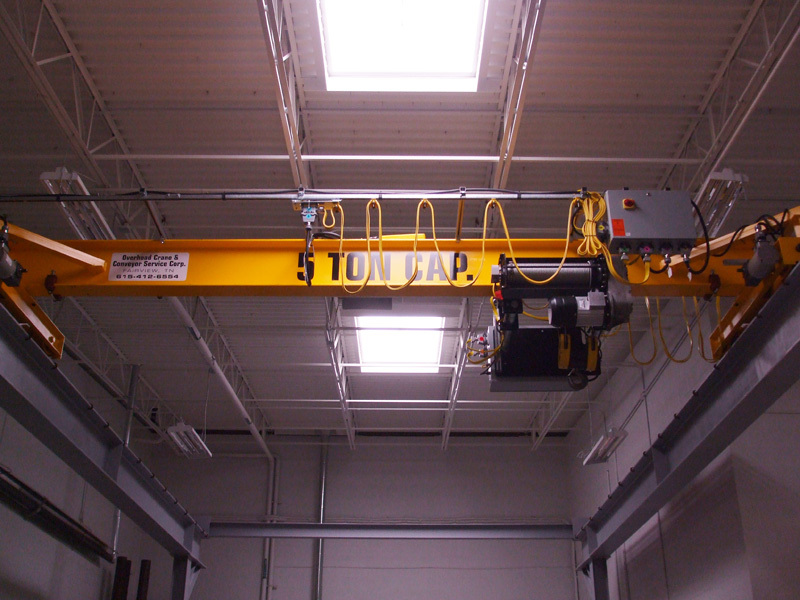 At Overhead Crane & Conveyor Services, we design and install custom monorail hoists for a myriad of lifting applications. We design straight and curved systems from structural steel using a patented track design. Both wire rope and chain hoist designs can be used, based on the parameters of the given application. Since the 1980’s, our team has been providing customers in the injection molding, metal stamping, and water treatment industries with high quality material handling solutions that maximize efficiency and safety during daily operations. Our equipment is manufactured using industry leading OEM components and in-house welding, bolting, and assembly processes which are backed by a wealth of industry experience. In addition to fabrication, we also provide installation, wiring, training, and inspection services. Inspection can be provided on an annual basis or in accordance with the hoist's frequency of use. We take a hands-on approach to quality and customer service through every step of the development and installation process to ensure that all customer expectations are met. Lead times are evaluated on a job by job basis, depending on the scope and volume of the project. For additional information about our monorail hoist design and installation capabilities, see the table below, or contact us directly.